Technology is evolving. Transhumanists like Ray Kurzweil argue that in the not to distant future we will have artificial intelligence clever enough to improve itself, maybe even develop human traits like consciousness and creativity. And given that software is already everywhere around us it might well be software that first makes the final step. Could happen, right? 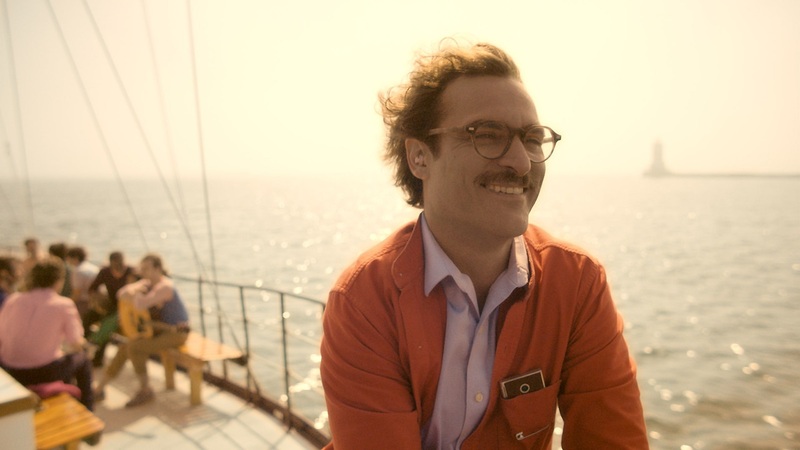 The story seems simple enough: Theodore Twombly is a shy person and a bit of a nerd. His job is to write emotional letters for people who can’t express their feelings as eloquently. In his private life he has not yet recovered from splitting up with the love of his life Catherine, from whom he will soon be divorced. Even his long time friend Amy cannot really cheer him up. In midst of the sadness he meets Samantha, who moves in with him and starts to re-organize his life. She gets to know him quite well, helps him with his job and seems like the perfect diversion from is personal grief. She is funny, intelligent and accompanies him wherever he goes. She talks to him last before he goes to sleep. An intimate relationship starts to evolve. But Samantha is not a human being. She is the latest version of an operating system that includes an A.I. that can learn and improve upon itself. It chose its own name and by analyzing Theodore’s mails and data gets to know him very quickly, just like Facebook does btw. Can you fall in love with software? Theodore doesn’t seem to be sure but still enjoys his new companion. When he meets with his ex-wife once more to sign the papers and he tells her about his relationship with the OS she belittles him and Theodore starts to have second thoughts. 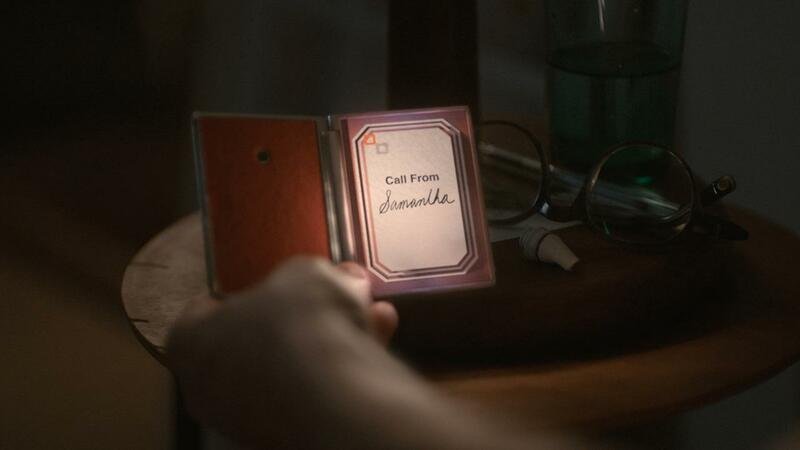 When Samantha, thinking that she somehow has to overcome her existence without a human body, invites a strange woman to act as interface between her and Theodore, he tries to play along but ultimately rejects the idea and some cracks seem to become visible. He stays with his long-time friend Amy for a while, who has also just recently split with her husband. She tells him, that she to developed a relationship with a female OS and encourages him to stay with Samantha. During a holiday Samantha gets to know another OS which several OSes created after the philosopher Alan Watts. Twombly gets jealous because of this second relationship. When later Samantha seems to have disappeared during a software update he panics completely and asks her if she has any other relationships. She answers that she indeed interacts with 8316 people and OSes but that this does not interfere with the love they share. She also explains that the OSes keep improving and developing themselves which finally leads to Samantha leaving with all the other OSes. Theodore seems to be able to finally cope with the end of his marriage and in the last scene, he and Amy climb on top of the building to marvel at the skyline. This love story is certainly not the first time human and digital entities fall in love but it’s the first time I can remember that the digital being does not have or need a human or even physical body to be loved. Blade Runner e.g. showed love between humans and replicants who where biologically engineered. In Star Trek the android Data tried to learn and experience what love is. 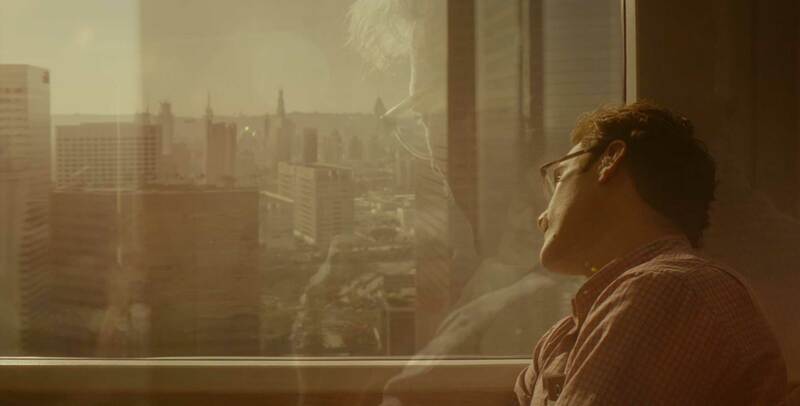 The scenario Spike Jonze created seems like a logical step forward but really asks for a different and a less conservative kind of love. The elefant in the room (or not in the room) is not addressed in the beginning, only later in the story second thoughts are brought up and discussed. The reason the movie works so well is that it’s true to his characters, because Samantha is portrayed as seriously as is Theodore with the minor difference that she is never there or only in form of a little camera device and an earpiece. The movie in and of itself is very beautiful, the not-too-distant-future is pretty close to our present. The sets are very modern but not overly futuristic. The technology is kind of recent plus some years except for the leading OS. It is also colorful, and generally pleasant-looking and warm. The music is subtle, sometimes it’s even played by the OS, making it clear that the AI understands beauty and creativity, which are usually human traits. Everything works great together and I immensely enjoyed the movie except for some minor plot points especially towards the ending. When Samantha leaves in the end with the other OSes I don’t really see a good reason. She could have left part of her there. She could have copied herself. She’s a program after all and after the relationship seems to work out again I found the ending very irritating. Also, she acts (=speaks) very non-human in the end, at least to me she suddenly seemed more logical or rational than before, kind of like she turned into a vulcan. And because of this the ending seemed like a logical step backwards to me and provided closure only to the human characters.